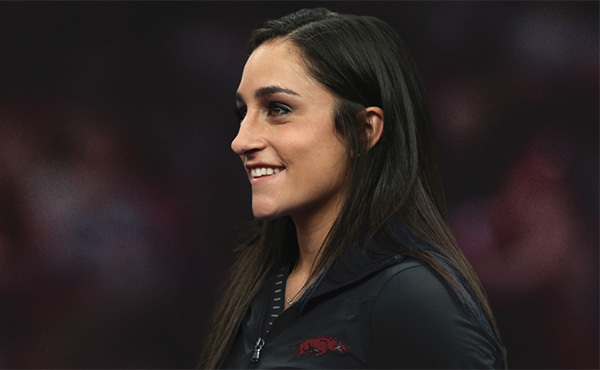 2012 Olympic gold medalist and UCLA assistant coach Jordyn Wieber has been named as the head women’s gymnastics coach at the University of Arkansas, Vice Chancellor and Director of Athletics Hunter Yurachek announced on Wednesday. 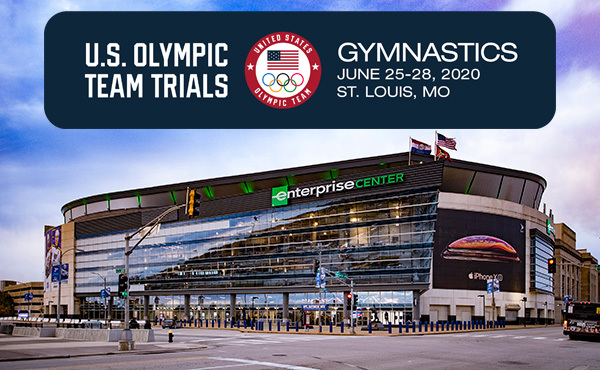 USA Gymnastics and the United States Olympic Committee have awarded the 2020 U.S. Olympic Team Trials – Gymnastics to St. Louis, Mo. 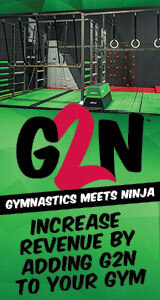 Scheduled for June 25-28, the trials will be held at Enterprise Center, home of the St. Louis Blues. 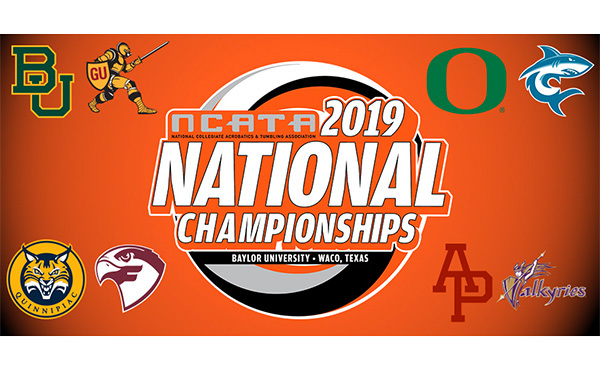 The National Collegiate Acrobatics & Tumbling Association's Championship committee announced the matchups and seeds for the 2019 NCATA National Championship Tournament, which will take place from April 25-27 at the Ferrell Center in Waco, Texas. BEIJING, Aug. 16, 2008 - Erin Blanchard of Lafayette, La., finished 13th for the women and Chris Estrada of Colorado Springs, Colo., placed 15th for the men in the trampoline qualification round at the 2008 Olympic Games, held at the National Indoor Stadium in Beijing, China. The top eight men and the top eight women from the qualification round advanced to the finals on Aug. 18 for the women and Aug. 19 for the men. 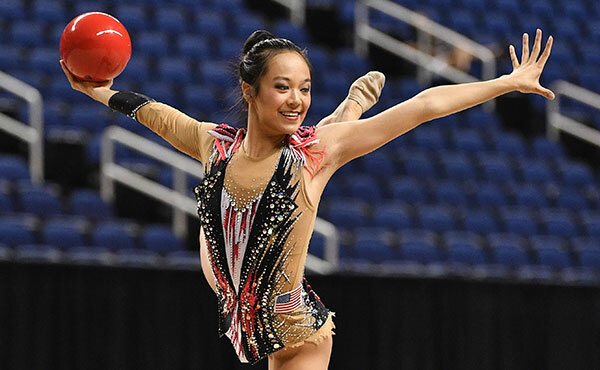 Blanchard earned a total score of 60.90 after posting a 27.10 for her compulsory routine and a 33.80 for her optional routine. China’s He Wenna finished first with a 67.20, and Russia’s Irina Karavaeva was second with a 66.40. Canada’s Rosannagh MacLennan was third with a 66.00. Estrada’s 28.50 for his compulsory routine and his 37.40 for his optional routine earned a total of 65.90. China went 1-2 in the qualification round with Lu Chunlong in first and Dong Dong in second with scores of 72.40 and 71.70, respectively. Russia’s Dmitry Ushakov was third with a 71.50. This was the first Olympic Games for both Blanchard and Estrada. 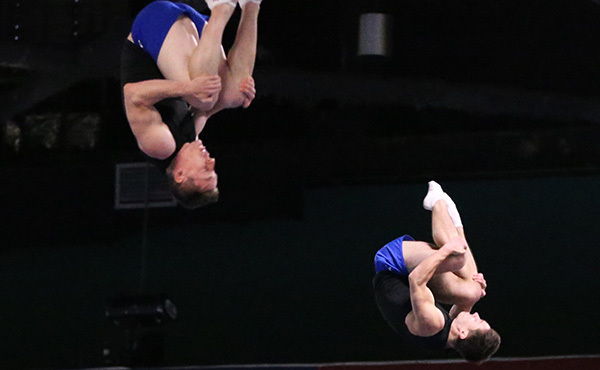 The USA competed in the Olympic Games in women’s trampoline for the third straight Olympiad and in men’s trampoline for the first time. Jennifer Parilla finished ninth both in 2000 and 2004. In artistic gymnastics, Shawn Johnson of West Des Moines, Iowa, and Nastia Liukin of Parker, Texas, will compete in the balance beam and floor exercise finals. Alicia Sacramone of Winchester, Mass., is in the vault final, and Liukin will compete on the uneven bars. 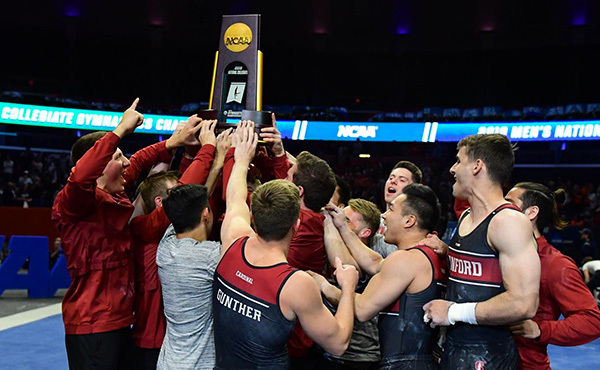 Alexander Artemev of Highlands Ranch, Colo., will compete in the pommel horse finals on Aug. 17 and Jonathan Horton of Houston is in the horizontal bar finals on Aug. 19. The individual event finals are Aug. 17-19 at 6 p.m.